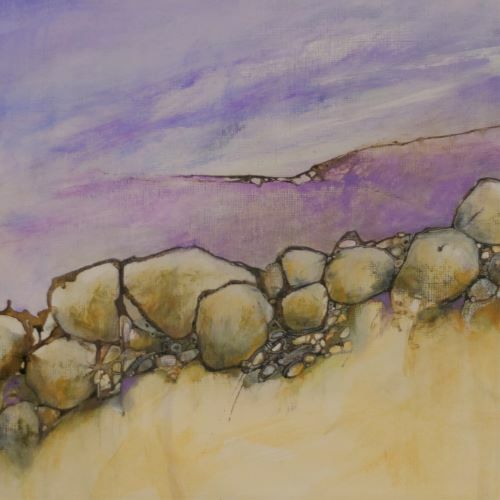 Ellie Baker is a landscape artist with a distinct style that draws the viewer in and sets the imagination to work. 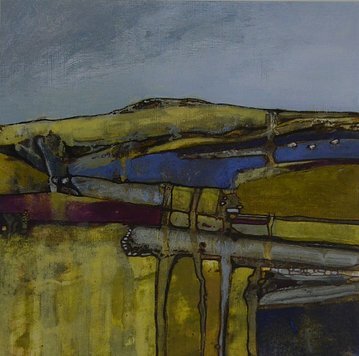 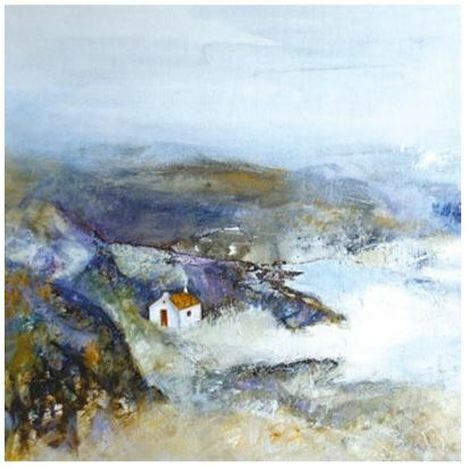 Ellie mostly works from memory, combining many elements from the local rural land and seascapes. 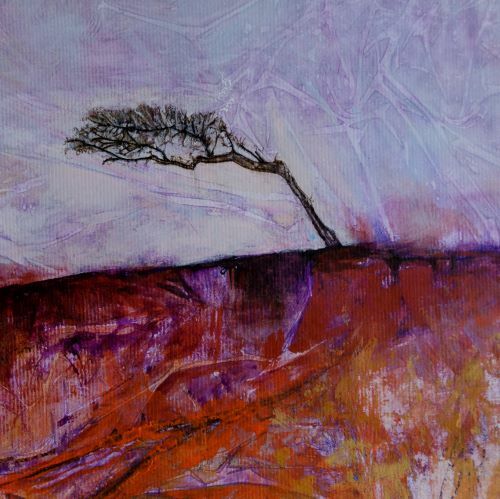 Ellie works in acrylic paint and ink and recently, has been applying gesso to the paper – a paste which dries hard overnight and provides a textured base for her pieces. 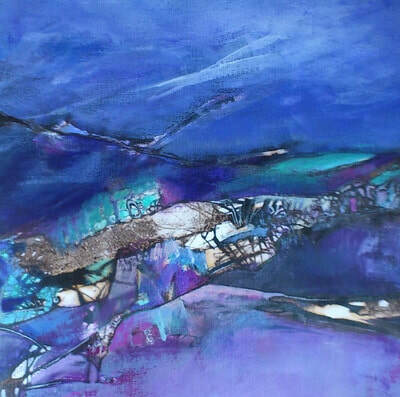 She then adds a translucent wash and bleeds other colours or inks into different areas whilst the work is still wet. 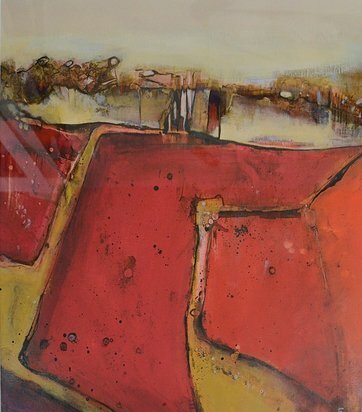 ​Ellie has a Foundation Diploma in Fine Art from Central Saint Martin’s College of Art and Design.